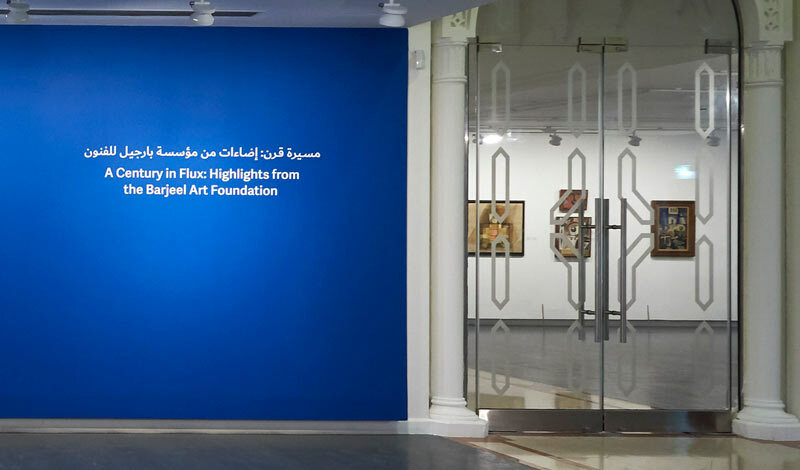 Barjeel Art Foundation is an independent collecting philanthropic institution based in Sharjah, United Arab Emirates, established by Sultan Sooud Al Qassemi in 2010 to manage, preserve, and exhibit an extensive collection of modern and contemporary Arab art. With the exhibition A Century in Flux: Highlights from the Barjeel Art Foundation, the Foundation partners with the Sharjah Museums Authority (SMA) to display a selection of renowned artworks from BAF’s collection at the Sharjah Art Museum over the next five years. Barjeel Art Foundation was established by Sultan Sooud Al Qassemi in 2010 to manage, preserve, and exhibit an extensive collection of modern and contemporary Arab art. Since then, Barjeel has curated and collaborated on 30 exhibitions locally, regionally, and internationally, with the guiding principle to contribute to a greater understanding of the living and dynamic art history of the Arab world and its diaspora. In addition to this active exhibition programme, Barjeel has also developed a number of print and online publications, organised public programming, supported scholarly conferences and symposia, and established partnerships with art, cultural, and educational institutions globally with the aim of encouraging public awareness of the presence, importance, and history of art in the Arab world. From press information. © Images courtesy of Barjeel Art Foundation.